Non-linearities can lead to unexpected dynamic behaviours in supply chain systems that could then either trigger disruptions or make the response and recovery process more difficult. 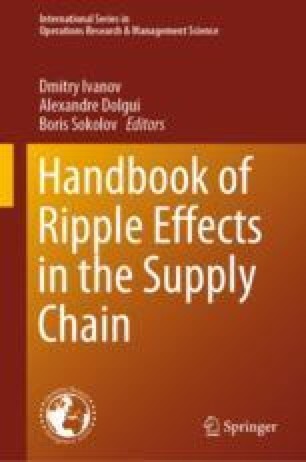 In this chapter, we take a control-theoretic perspective to discuss the impact of non-linearities on the ripple effect. This chapter is particularly relevant for researchers wanting to learn more about the different types of non-linearities that can be found in supply chain systems, the existing analytical methods to deal with each type of non-linearity and future scope for research based on the current knowledge in this field.